A masterplan of 'The Cedars' development from Aldar. 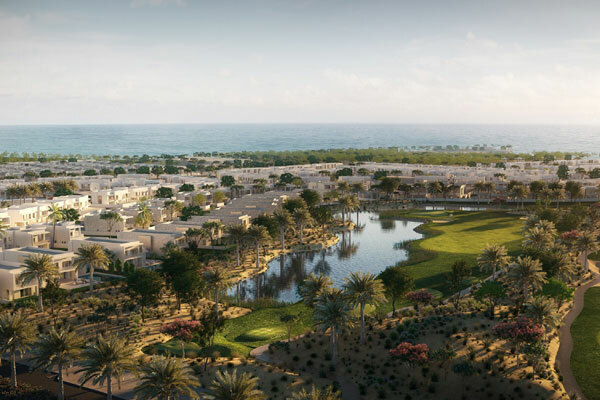 Aldar Properties, a leading developer in Abu Dhabi, has announced the launch of “The Cedars” a new community within its flagship golf and waterfront development, Yas Acres. To coincide with this, Aldar is introducing a series of limited time offers to make owning a home within Yas Acres even more attractive, said the Abu Dhabi-based developer. Not only will Aldar waive the five year service charge and 2 per cent Abu Dhabi municipality fee, but it is also offering customers a new 20/80 payment plan, with 20 per cent of the purchase price payable during construction and the remaining 80 per cent upon handover. Located on the northern shores of Yas Island, Yas Acres will add, upon completion, 1,315 premium townhouses and villas to the island. Construction is underway on the three launched phases of Yas Acres, with handovers of these first 652 homes on track to commence during 2019. Limited numbers of three- and six-bedroom homes are still available, with prices starting from Dh3 million. Residents will further benefit from landscaped parks, running and cycling tracks, ‘shadeways’, indoor and outdoor gyms, community pool areas along with playgrounds, swimming pools, sports facilities and BBQ areas located in each villa cluster, said a statement from the company. A Golf and Country Club will provide further amenities including an events space and dining outlets with additional local retail offerings situated within the community. A waterfront apartment district with shops and food and beverage outlets is also planned for the future, it stated. The schools will cater for students from 3 to 18 years and be easily accessible to all Yas Island residents from their central locations in the heart of the Yas Acres development, said the statement.